Horoscopes for the week of May 7–13, 2015. Aries (March 21–April 19): Benedictine monks observe the Latin motto Laborare est Orare. The 19th-century abbot Maurus Wolter interpreted these words to mean "work is worship" or "work is prayer." He was trying to impress upon his fellow monks that the work they did was not a grudging distraction from their service to God, but rather at the heart of their devotion. To do their tasks with love was a way to express gratitude for having been blessed with the gift of life. I propose that you experiment with this approach in the coming weeks, even if your version is more secular. What would it be like to feel contentment with and appreciation for the duties you have been allotted? Taurus (April 20–May 20): Here's one of the best things you can do for your mental and physical health: Withdraw your attention from the life that lies behind you, and be excited about the life that stretches ahead of you. Forget about the past, and get wildly inventive as you imagine the interesting future you will create for yourself. Forgive everyone who has offended you, and fantasize about the fun adventures you'll go on, the inspiring plans you'll carry out, and the invigorating lessons you hope to learn. Gemini (May 21­–June 20): In the children's book The Little Engine that Could, a little blue engine volunteers to pull a long chain of train cars up a steep hill, even though it's not confident it has the power to do so. As it strains to haul the heavy weight, it recites a mantra to give itself hope: "I think I can, I think I can, I think I can." The story ends happily. The little blue engine reaches the top of the hill with its many cars in tow, and is able to glide down the rest of the way. As you deal with your own challenge, Gemini, I recommend that you use an even more forceful incantation. Chant this: "I know I can, I know I can, I know I can." 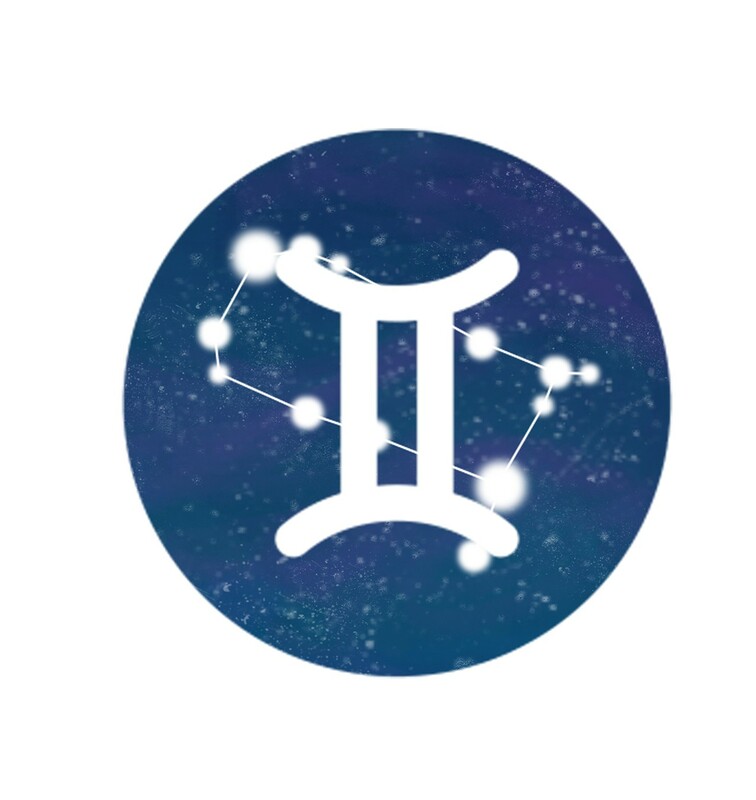 Cancer (June 21–July 22): Here's a confession: I have taken a vow to foster beauty, truth, love, justice, equality, tolerance, creativity, playfulness, and hope. To do this work is one of my life goals. I approach it with the devotion of a monk and the rigor of a warrior. Does that mean I ignore difficulty and suffering and cruelty? Of course not. I'm trying to diminish the power of those problems, so I sure as hell better know a lot about them. On the other hand, my main focus is on redemption and exaltation. I prefer not to describe in detail the world's poisons, but rather to provide an antidote for them. Even if you don't normally share my approach, Cancerian, I invite you to try it for the next two weeks. The astrological time is right. Leo (July 23–Aug. 22): The hill on which I take my late afternoon hikes is teeming with the six-petaled purple wildflower known as the elegant cluster-lily. Every one of them — and there are hundreds — lean hard in the direction of the sun in the west. Should I deride them as conformists that follow the law of the pack? Should I ridicule them for their blind devotion? Or should I more sensibly regard them as having a healthy instinct to gravitate toward the life-giving light? I'll go with the latter theory. In that spirit, Leo, I urge you to ignore the opinions of others as you turn strongly toward the sources that provide you with essential nourishment. Virgo (Aug. 23–Sept. 22): Am I reading the astrological omens correctly? I hope so. From what I can tell, you have been flying under the radar and over the rainbow. You have been exploiting the loopholes in the big bad system and enjoying some rather daring experiments with liberation. At this point in the adventure, you may be worried that your lucky streak can't continue much longer. I'm here to tell you that it can. It will. It must. I predict that your detail-loving intelligence will paradoxically guide you to expand your possibilities even further. Scorpio (Oct. 23–Nov. 21): In the coming weeks, you may be as alluring and intriguing and tempting as you have been in a long time. I suggest you capitalize on this advantage. Proceed as if you do indeed have the power to attract more of the emotional riches you desire. Assume that you are primed to learn new secrets about the arts of intimacy, and that these secrets will make you even smarter and more soulful than you already are. Cultivate your ability to be the kind of trusted ally and imaginative lover who creates successful relationships. Sagittarius (Nov. 22–Dec. 21): Physicist Frank Wilczek won a Nobel Prize for his research into quarks, the tiny particles that compose protons and neutrons. The guy is breathtakingly smart. Here's one of his operating principles: "If you don't make mistakes, you're not working on hard enough problems. And that's a big mistake." Let's enshrine his advice as your meditation, Sagittarius. I think you're strong enough and brave enough to go hunting for some new super-rich dilemmas. Yes, they may lead you to commit some booboos. But they will also stretch your intelligence beyond its previous limits, giving you a more vigorous understanding of the way the world works. Capricorn (Dec. 22–Jan. 19): In 1934, Capricorn baseball player Dizzy Dean was named the Most Valuable Player after winning thirty games. It was a feat that no National League pitcher has repeated ever since. After Dean retired, he was inducted into the Hall of Fame. Never shy about acknowledging his own prowess, he declared that "if you can do it, it ain't bragging." It is in this spirit that I invite you to freely expound on your talents and accomplishments in the coming week. You won't be boasting. You will simply be providing information. And that will ultimately result in you being offered an interesting new opportunity or two. Aquarius (Jan. 20–Feb. 18): There has rarely been a better time than now to refine the art of being your own mommy or daddy. You're finally ready to take over from the parental voices in your head and assume full responsibility for raising yourself the rest of the way. What do you want to be when you grow up? You may feel a giddy sense of freedom as it becomes clear that the only authority who has the right to answer that question is you. Pisces (Feb. 19–March 20): The universe has always played tricks on you. Some have been so perplexing that you've barely understood the joke. Others have been amusing but not particularly educational. Now I sense a new trend in the works. I suspect that the universe's pranks are becoming more comprehensible. They may have already begun to contain hints of kindness. What's the meaning of this lovely turn of events? Maybe you have finally discharged a very old karmic debt. It's also conceivable that your sense of humor has matured so much that you're able to laugh at some of the crazier plot twists. Here's another possibility: You are cashing in on the wisdom you were compelled to develop over the years as you dealt with the universe's tricks.